How can I reuse or recycle old house keys? | How can I recycle this? How can I reuse or recycle old house keys? I’ve had an email from Jory, asking for suggestion about what to do with “a ton of old house keys”. We’ve got a number floating around too – not just house keys but old bike lock keys and other misc keys that are probably for something really important we just don’t know what. Reuse: Lots of people have suggested using them as different type of decorations and jewellery – and if you don’t want to do that, there are a number of different artists collecting them (see below). Recycle: If you’d rather recycle them for charity, they’re collected by a number of charities – for example Keys For Kindness in the US. Dear all, I just found a few old house keys [major clear-out and de-cluttering project] so there’s lots of other stuff I want to recycle too – and I’d love to send them to somebody. Anybody here in the UK? If you want them I can post them. I’m in Lewisham SE London. We have about 30 keys that we could send you – it seems a waste to throw them out – I could send them to you ? hi patsy i have old house keys you can have. whats your e mail? i’ll contact you there if poss? Have lots of stuff I could send – please do post up contact details so I can send you an email. Hey i have a ton of keys i don’t need if you want them just contact me and let me know if your still in need of them. I have a house key and nothing to do with it, send me your address and I’ll mail it. We have just had a number of locks changed and I have a bag of old keys, are they any good to you to recycle in your work. 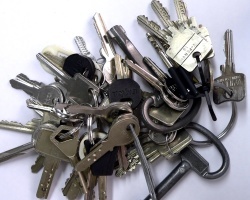 We have a large amount of unnamed lost keys in our lost property and, we would happily donate them to you if uncollected by the end of this term. I have keys & mismatched jewelry. Send me your email address, please. Who pays the postage? I would like to send you some of my old house and other keys. I’d love to have them incorporated in art. Where can I send them? Patsy – are you still wanting old keys? And does anyone want a few bags of old wine corks? I live in Brisbane, Australia, so I guess I’m hoping to find possible recipients who aren’t overseas! Sorry, I live overseas, but if you didn’t find anyone interested in your corks, pending quantity cost and shipping, I would be very interesting. I work in a low income school and I am always on the lookout for possible craft items, or items I can make and sell with some of the proceeds going to chairity. Thanking you in advance. Please respond soon. I have a number of keys as well as broken and mismatched jewellery. Any good to you at all? I’m trying to teach my grandchildren some sort of jewelry crafts and also to use in our Bible school with young kids. Anything you have that we could make something out of wold so much appreciated. Will send you my address later & we can talk. house-wife, retired and tired! Thanks! What kind of artwork do you do with them?? a design- flower, fruit etc. , just anything we can come up with. Once decorated a birdhouse. we liked it- birds liked it more! are you still looking for stuff? Where do I send them? Got the keys of a lifetime from my dad and just didnt want to throw them out. Bit of a long shot, but if you still need keys I have hundreds. It is a long shot from my side too, but if you still have those old keys I would be interested. Where are you based? What type of keys are they? We are producing key wallets and would love to use old keys for display and explanation purposes. If you want keys lots of them please email me. Hi, my names Britt. I collect old car keys, house keys,etc. I usually get the old car keys from the cars at Pull-a_Part. If the cars have keys in them.I started collecting keys a while back and I am still collecting them. I was wondering if you still had any? Thanks. Britt. By the way, Pull-a-Part is a place that buys old junk cars and sells the parts off of them. I’ve got old house keys I can send to you. Are you still interested in any old keys? If so please send me your address and I will post them to you. Send me an address where keys and things can be sent to you. Do you still want old house keys? Would you pay for the cost of shipping them to you? I have loads of keys if you would like them? I work in property so have lots from when we change locks and have no use for the old ones. I am looking for keys, if you still have them. Please email me at Maryslittlecreations@ymail.com Thank you! yes, I have several old keys I need to rid of!!! I live in Orange Co. CA. Is there such a place? I do not want them! Also, any place in general to rid of old scrap metal?? I don’t want to travel that far. Judging from the time as noted in my msg, I must be addressing someone in Europe? I live in California! Hi, I found this page today, August 1, 2013. Do you still need keys? I have two dozen of them of varying shapes and sizes. You can contact me at guavagirl1959@yahoo.com. You can cover an old picture frame with them. Or even edge a lampshade. Hi patsy! Came upon your post from 2011…are you still in need of old mismatched jewelry and house keys? Feel free to email me at aliardissi@yahoo.com if so. Are you still collecting old keys? ‘Up-Cycled’ items. Do you have any examples of your work ? Are you still collecting old keys and where are you based. I have old keys to be recycled and possibly mismatched jewelry, not sure if you want costume jewelry, please let me know where to send. If anyone would like to send me anything, I’d be very appreciative :) Contact @ flerious@gmail.com. They’ve recently closed to local dump to the public, so it’s a bit hard for me to get a hold of interesting items anymore. what are you seeking, please specify? I am also an artist/crafter who uses old keys in my work. I am in USA but am often in Ireland with family. If you haven’t already sent your keys to Thomas, I would be grateful for any you may have left. Anyone else in UK/Ireland with extra or old keys you can email for my address in Ireland or USA. HAVE SUPPLY OF CAR KEYS, DATED 1980-2000, CAN ANYONE USE THEM. PLEASE EMAIL ME ACCORDING. I’d be interested in those car keys if they’re uncut. Let me know. Thanks. NOT SURE MY PREVIOUS MESSAGE WENT THROUGH. I DON’T HAVE ALOT, BUT I DON’T KNOW WHETHER TO TOSS THEM OR SEND THEM TO SOMEONE IF POSTAGE IS NOT TOO EXPENSIVE. Keys make a great peice of home decor. Take a 12×12 frame, go to a craft store and pick out a sheet of 12×12 paper that matches your house. Than glue or tack the keys to a peice of paper that has been glued to cardboard or cardstock. Put the paper in the frame and close it. hang it on your wall and admire your splended yet easy work!!!! 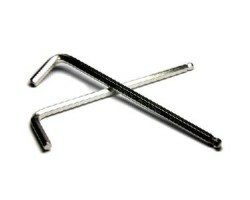 You can also get keys from hardware stores, home improvement stores and anywhere they make keys. I went into a hardware store and they gave me a bucket full! However i use them for projects with projects showing people how they can Repurpose anything! Myself & my wife are setting up a shop this year and website selling upcycled products, do you have any examples of your work ? I’ve got lots of keys which I would like to recycle/donate. If anyone would like them please email me at jagklair@hotmail.com and I’ll send to you. I work at a property management company and I’ve got about 150ish keys that no longer work. Some are gold, some are silver and are various shapes and sizes (mostly apartment, gate and garage keys). My last day here is next Friday (May 11th) and I’m trying to clean up this mess before I go! 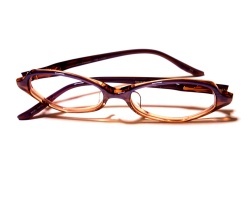 I know the person who takes my place will most likely just throw them in the trash and I want them to go to good use. If you would like the keys (or a picture of the pile) please email me at amiebarber8@gmail.com and we can figure something out. I’m in the Los Angeles CA area but can ship them out if need be. Gloria, e mail me at brizy11@hotmail.com, I can help sending some art & craft materials. We are a non profit organization helping women and children in need. We are self supporting and create bracelets and art work to sell as a fund raiser for our food closet, maternity and baby clothes and help with retraining young women. Anything that can be used in art or crafts. Thank you in advance for considering helping. If you would like a receipt for taxes we are happy to send one for your donation. Just let me know. Dried beans and rice for instant soup mixes. If you would like to mail it. Got keys. Need them still? we have keys where are you and do you want them? I have a bunch of old keys if you’re still in need of them? Email me your postal address and I’ll mail them before the end of the week. Hi, I work for a property company so we often have locks changed and get left with old keys that we normally just throw away. I have a bag of about 50 standard yale keys if you want them. We are based in London as well so let me know if you still need them. Make a wind chime out of them to hang near you flower/veg beds! I am a design student based in London. I need loads of unwanted keys for my project. Please contact me if you have any amount of keys not needed. http://img.dodecals.com/2012/09/wind-chime-made-fron-old-keys.jpg take a look at it.. I used our old keys to make “Real” key sets for our twins. By the time they were 2, they were not interested in the plastic play keys, but in mommy and daddy’s real keys. Their new sets don’t open anything, but they often use them to “turn on” their play cars or other pretend items. To reduce, only get the amount of keys you need! I am looking for house/door keys for an art piece that I am making in protest to the destruction of so many social houses. I need about 10.000! If you let me know your address I’ll send you the keys I have. Are you still looking for keys? I have a couple of working Yale-style locks with keys that we don’t need, as we changed all the locks in our new house. Any ideas where I can recycle these? Someone could use them. We are a nonprofit creative reuse center in rural Iowa. We just opened in August of 2015. We accept many, many items. WE really need old keys and other metal things like clock/watch gears, silverwear, metal washers, nuts, bolts, etc. instead of the street address, thanks. Thanks to all who take the time to search for a better solution for items than throwing them away. We are trying to “Save the landfills one junk drawer at a time.” Can you help? Have you ever seen SAW the movie? I was thinking if you ever broke up with you ex- boyfriend/girlfriend, a fallout with a room mate, or fired from a job and you have to give back your key… just take a shoe box full of keys with or with out the key you need to return and simply dump it one the ground and say there is your keys and a few more and thanks for wasting my time, I hope that this will waste yours. You can add oh I think your safe deposit box key is in there as well. 4. Silver ware or tool handles about the size of regular dinnerware.